I took advantage of the current Mac App Store promo and picked up a copy of Flare 2 for $7, which I think that will really unlock the potential of the Flare Effects app on my iPad. I now do most of my editing within the Photos app in iOS. I use the basic iOS sliders to adjust basic light and color, add a hint of sharpening in the Afterlight photo extension, and then save the changes. One thing that’s missing from this editing flow is the set of filters I used to apply within VSCO Cam. I love VSCO’s filters, but I don’t like having to import pictures into VSCO to edit, and then save those edits as new pictures in my photo library. That process creates a lot of clutter. So on the advice of Ben Brooks, I’m going to give Flare 2 a shot. 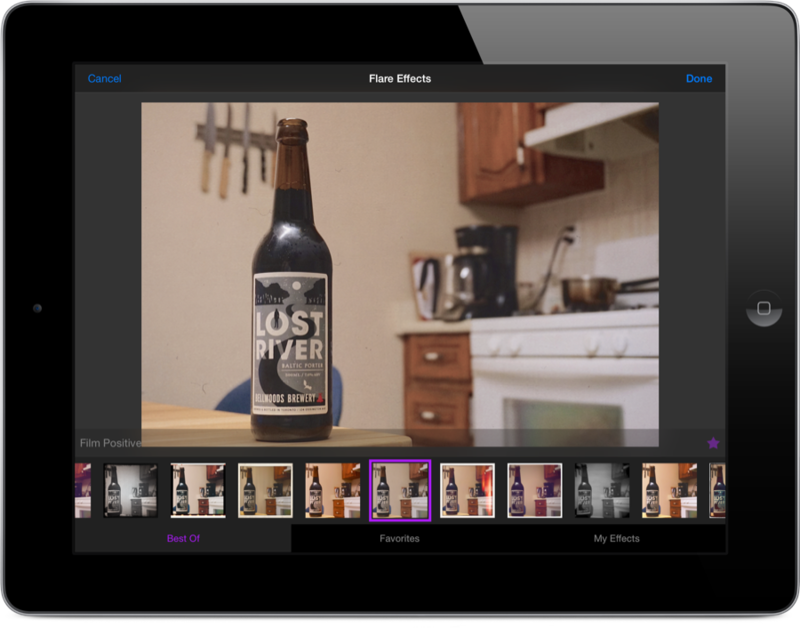 The Mac app can create photo filters and sync them to the companion iOS apps, which have working extensions in the Photos app. If I can manage to create a few filter sets I really like, Flare 2 should essentially act as a suitable VSCO replacement. I still have to figure out exactly what kind of filters I’d like to try and recreate, but I’m excited at the prospect. If you’d like to pick up Flare 2, it’s still on sale for 50% right now. The Flare Effects iPad app is completely free.